of Marshallton, and 4.9 mi upstream from mouth. REVISIONS HISTORY.-- WSP 1141: 1948. WSP 1272: 1951(m). WSP 1432: 1944(M), 1945, 1946(M), 1948, 1949(M). station. 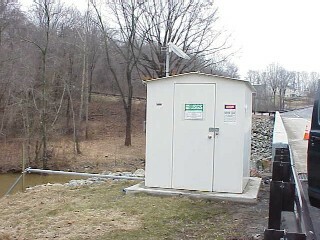 Water-quality records for some prior periods have been collected at this location. gage height, 17.62 ft; minimum discharge, 2.90 ft3/s, Sept. 4, 1966.
and the U. S. Geological Survey. Click on the image to view the Frame Gallery of the most recent images. Full resolution current video from the site is also available. These time-lapse images are considered a proof of concept with no guarantee regarding product up time. Time-lapse videos may only be viewed using Chrome, Firefox or Opera browsers. Additional browser support for Safari and Internet Explorer may be added later.